The UK's largest chain has bought one of its smallest, family restaurant Giraffe, which may see in-store eateries in many of the supermarket giant's stores. Tesco has 6,612 branches worldwide, Giraffe has, er 47, none of them outside the UK. It’s not even a snack for the biggest beast in the retail jungle, more of an amuse bouche (not that Tesco’s streetwise bosses seem the types to go in for that kind of swanky food much anyway). But chances are that Phil Clarke and his boardroom mates are less interested in the Giraffe menu and more in the growth potential of the brand. 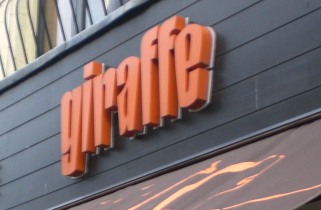 The prospects of ‘all day dining’ at in-store Giraffe’s would neatly address criticism that Tesco is a functional but unwelcoming place for shoppers, whilst also providing a potentially lucrative additional revenues stream. What’s not to like about giving punters a warm feeling inside as you relieve them of a bit more of their cash, after all? The deal is good news for Giraffe’s backers, which include private equity groups 3i and MT columnist and chairman of Risk Capital Partners Luke Johnson. Johnson in particular stands to make a useful return - his 20% stake should realise around £9.6m, not bad for an original investment of £2m in 2004. The chain - which has become a favourite destination for kids parties and family meals, as any singletons who venture in unawares on a weekend lunchtime will attest - was founded by Russell & Juliette Joffe in 1998 and has grown steadily in the years since. Both the Joffes and their management team will be retained by Tesco after the acquisition. It has net debt of £7m and its 48th restaurant is due to open in Leeds later this month. The move has aroused considerable interest, but it is actually rather less surprising than it appears. Tesco has already picked up a 49% stake in fledgling coffee shop chain Harris + Hoole, plus an undisclosed investment in Euphorium Bakery. Clarke has hinted that these, too, may be making their in-store debuts before too long. On the face of it this looks like a good move -Tesco had a pretty bad time of it recently, persistently losing market share and coming a cropper in the horsemeat scandal. Giving punters more reasons to hang out as well as do the groceries in its branches ought to increase the take, especially as many of Tesco's out-of-town outlets face little in the way of competition from the sorts of eateries which dot most High Street locations. On the other hand, if the firm’s core operation - its food retail business - is in need of attention, spending time and money bolting on a few bells and whistles isn’t going to help its management address the fundamental problems. On balance, Clarke seems to have decided that it’s worth a shout. It is at least a bone to toss shareholders, buying the firm a bit of time while they digest it.